People always say that breakfast is the most important meal of the day — so it makes sense that it should be a healthy one. But that can be hard when you’re caught in your morning rush and you just want to eat something that is quick and yummy. Well, fortunately, these four delicious breakfast ideas will get you feeling perky and energized for the day ahead. 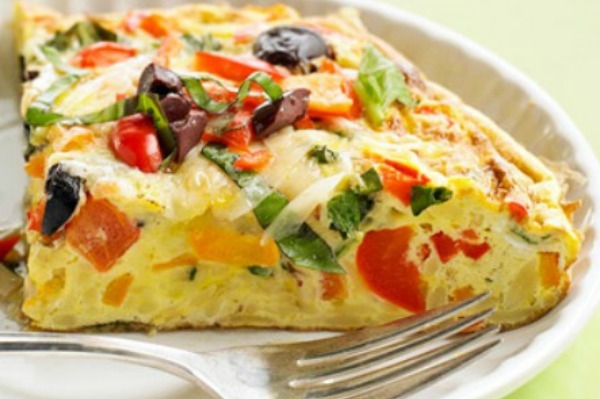 If you’re someone who enjoys savoury foods for breakfast, then frittatas are perfect for you. When made the right way, there isn’t a single ingredient in them that’s bad for you. Plus, it’s easy to make a large panful and simply warm a slice up as needed. You can load a frittata with as many veggies as you want, and even throw in some cheese or meat for a little bit of extra protein. Try a broccoli and red pepper version to get started and then see where your imagination takes you. Yogurt parfaits are a great way to start your morning off right with protein, calcium, vitamins and minerals. But store-bought brands won’t do the trick. They often contain additives and preservatives that your body doesn’t need. To give yourself the start you need, create your very own healthy homemade granola. In a glass or bowl, layer granola with yogurt and your favourite fruits for a crunchy and naturally sweet breakfast. It’s important to note that there is a huge difference between store-bought muffins and healthy homemade ones. Store-bought ones are loaded with sugar, and if you start your day off with the sweet stuff, you are likely to crave it far more throughout the day. Instead, opt for muffins that are sweetened using more natural options. Your best possible sweetener is the natural goodness of dates or bananas. When dates are chopped and left to soak in warm water they form a sort of syrup that is the perfect alternative to artificial sugars. Similarly, when ripe bananas are mashed, they form a sweet paste that is great for baking with. For a good place to start, try out Food.com’s no-flour, no-sugar oat walnut fruit muffins. Muffins are also great because you can whip up a batch early in the week and simply grab one to take with you on your way out the door. And if you happen to make too many, they freeze very well for later breakfasts. Unlike the majority of store-bought cereals that are loaded with refined carbohydrates and sugars, many warm cereals, such as oatmeal, are full of fibre and iron. For a quick and healthy breakfast, cook rolled oats in water or milk according to package instructions, and then add in all your favourite fruits and nuts. A great way to start is by tossing a few pieces of banana, a handful of blueberries and some chopped pecans into your bowl of oats. The fruits add a natural sweetness, so you don’t need to add any sugar. Or, if you’re tired of oatmeal, consider giving Red River cereal a whirl. It is filled with healthy grains and has a nice crunch to it.